You wear a watch depending on your style and depending on the event would you like to attend. 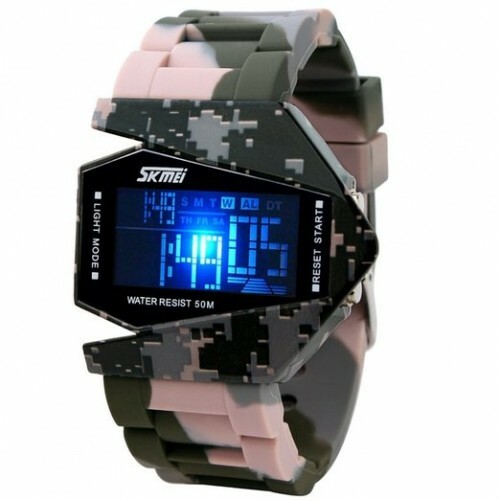 A military sport watch is a special watch very much appreciated by men all over the world. Military watches must withstand more challenging conditions than sports watches can tolerate. 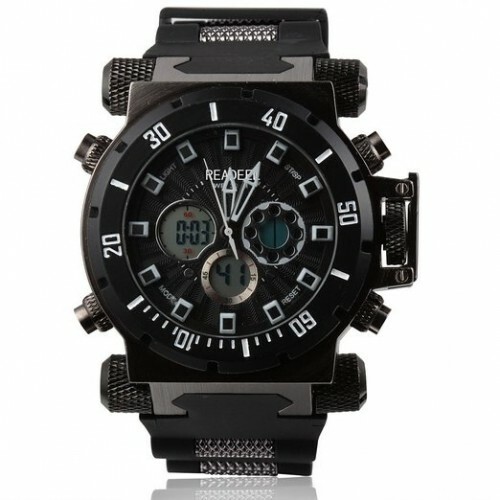 These watches use durable materials and must operate reliably under every circumstance. Service members rely on watches for critical information, and those who are deployed cannot depend on the local watch shop for repair. Military watch manufacturers strive to construct a timepiece that is tough, accurate, and reliable. Bear in mind that military watches — those covered in black, green or gray PVD or DLC — are simply not appropriate for wear in business settings. They were designed to be worn while one is active, and unless your daily role involves running from the SEC (I’m looking at you, Bank of America), you need to be wearing something more formal. Wearing a military watch to the boardroom is the equivalent of wearing Timberland work boots to a black-tie dinner. Just don’t do it. When buying a military sport watch try to take into consideration a few aspects: case, dial, crystal, movements, wristbands. One of the privileges of completing boot camp is the ability to wear a watch again. Families often give a watch to commemorate the accomplishment. Because each service branch is different, they should confirm which watches are required or acceptable, such as a silent, all-black watch that displays military time. The case body encloses the watch mechanism, known as the watch movement. The Marines Wrist Armor Watch is licensed by the United States Marine Corps for duty use, with a case body of hardened 316L stainless steel. The analog model features a crown protection bar for the knob used to set time. The dial displays the time on the watch’s face, featuring analog, digital, or dual displays. 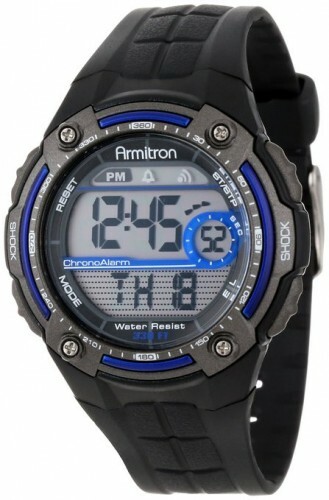 An analog display allows the wearer to check the time quickly; that can be combined with a sweep second hand or a digital second timer for precision. Digital displays are useful when precise timekeeping is required. Many watches combine analog and digital displays for maximum versatility. Military timepieces should include luminous markers, hands, and numerals for low light conditions; the luminosity should be able to recharge quickly. These timepieces should display 24-hour military time; world time zones are necessary because the wearer may be deployed anywhere on the globe. The watches should display several time zones simultaneously, especially the time at home. The crystal, or glass overlay, on military watches must be shatter- and scratch-resistant for safety and readability. Military watches utilize a K1 hardened mineral or sapphire crystal, which is more shock- and scratch-resistant than ordinary mineral crystals. The watch’s movement is the collection of internal parts fitted in the case. 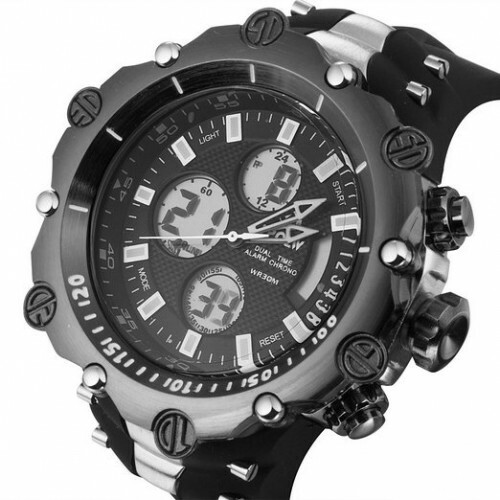 The most accurate analog watches contain Swiss jeweled quartz movements, and digital watches use electronic modules. The movements should be serviced every three to five years, and the case should protect the internal mechanisms from environmental damage. The harsh conditions endured by service members range from sandstorms, turbulent seas, mountains, and humidity. The wristband should survive the rigors of military duty. 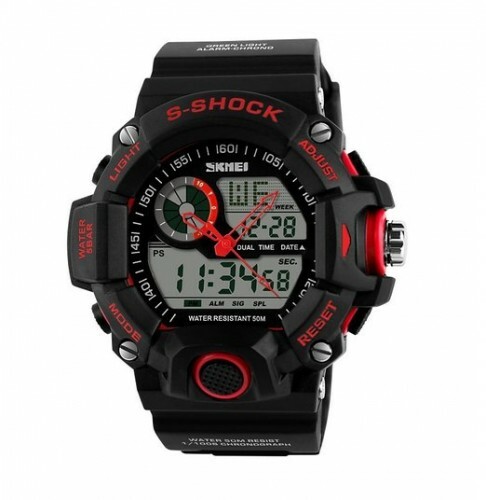 These watches feature thick, water-resistant leather, silicone rubber, webbed nylon. Many service members prefer thick Velcro wristbands, making them easy to don and remove. The rugged wristband buckle should be attached securely to the wristband; stainless steel or carbon fiber are the materials of choice. The steel clasps on bracelet-style watches should close tightly and allow expansion of the wrist in extreme heat and during rigorous activity. Military watches should be waterproof or water resistant to at least 660 feet. 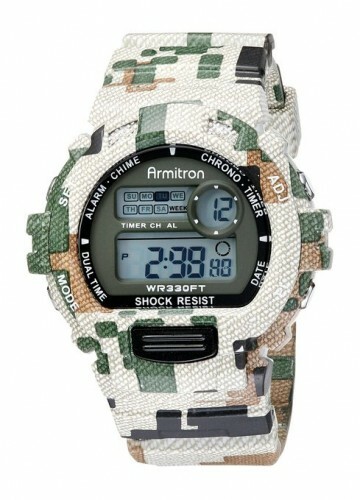 Obviously one of the feature of a quality military sport watch should be shock protection.